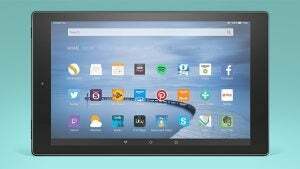 What is the Amazon Fire HD 10? The Amazon Fire HD 10 is the big daddy of the new low-cost Fire tablet range, and the latest version finally offers up a 1080p resolution to make the most of the display. If you’re after something smaller then be sure to check out the Fire HD 8. But Amazon says it believes this larger version is more suited for video and a better choice for people that regularly break away from the rest of the family when they’re getting their soap fix on the TV. This is a low-cost tablet great for those who have bought into Prime, but the software may prove overbearing if you haven’t already made the jump into Amazon’s ecosystem. 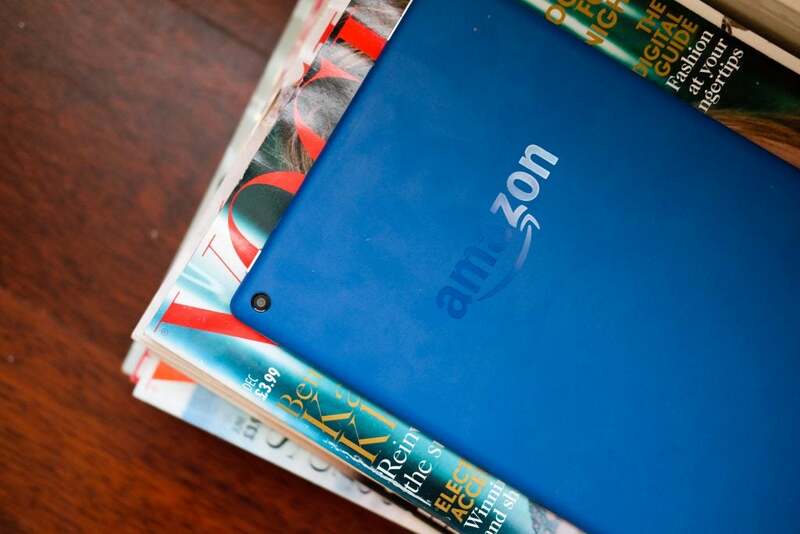 The Amazon Fire HD 10 has a large footprint compared to most modern tablets, which tend to be a few inches smaller. Use the Amazon Fire HD 10 for a few minutes and the reasons why most OEMs have opted to make smaller tablets become obvious. 10-inch tablets are cumbersome to use on the train or bus. The Amazon Fire HD 10 in particular feels top-heavy and trying to hold it vertically to read a book isn’t a comfortable experience. 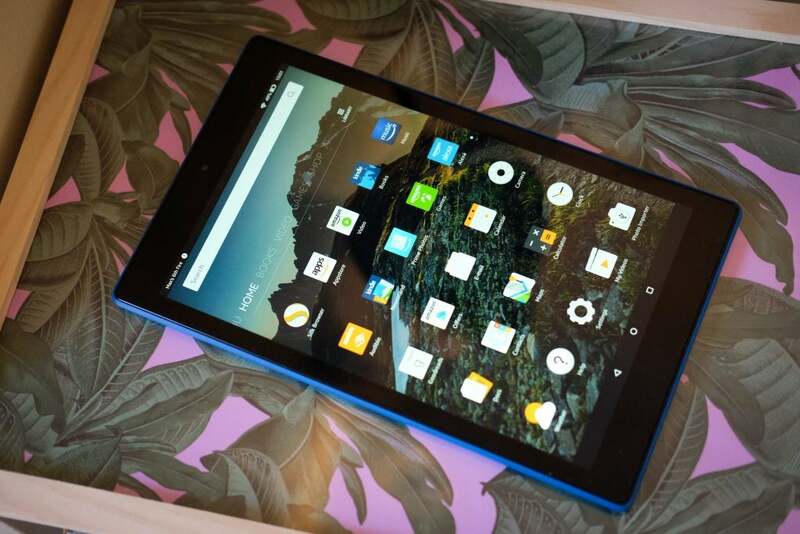 Why am I levelling such criticisms at the Fire HD 10, say, while I might not say the same about an iPad 9.7-inch? The Amazon Fire HD 10 is a widescreen tablet, with a 16:10 aspect. Large widescreen tablets always feels a little awkward in terms of portability, with their shape and weight balance being that bit harder to manage than a large 4:3 tablet, such as the iPad. In summary: it’s probably best to keep it at home. The Amazon Fire HD 10 design appears to be concerned with making the tablet as easy to manufacture as it is in trying to impress your fingers. It has some of the classic traits of cheap, no-brand tablets. All the controls and primary sockets are laid along one edge – the top one. This isn’t hugely practical. Held upright it means the controls are out of easy reach, and when the device is held in a landscape position your hand will always rest over either the power or volume buttons. Compromise is a common theme here. 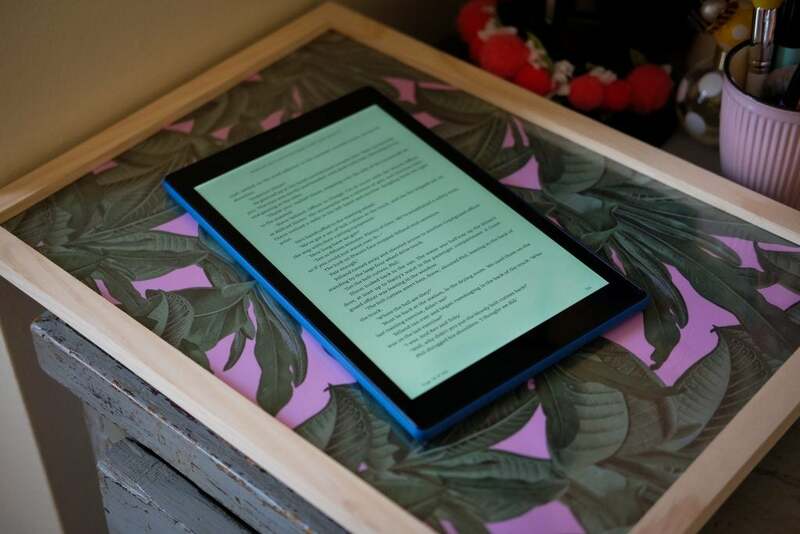 While there’s a metal frame inside the Amazon Fire HD 10 that helps to stop it flexing – under normal pressure, it doesn’t flex at all – on the outside, it’s covered in matte plastic. Overall, it just feels a little cheap. Nevertheless, if you’re picking up the Fire HD 10 for the kids to happily chuck around, or keep entertained on long journeys, it fits the bill perfectly. The most obvious upgrade to the new version of the Fire 10 is the screen. No longer is it a terrible 10.1-inch 1280 x 800 blur-fest, but a perfectly respectable 1080p display. The IPS panel offers decent viewing angles and colours displayed onscreen are nice and bright. But it lacks the deep blacks and pop of saturation of an OLED panel. Nevertheless, for a tablet that costs £150, it remains quite impressive. Movies streamed from Prime Video or Netflix look good, and text in Kindle books is crisp enough to comfortably read for long periods. I do find the whites a tad bright, often with a yellow tinge – but once again, it’s forgivable at this price. This is a huge jump forward from the older model. The post Amazon Fire HD 10 appeared first on Trusted Reviews.